– water bottle, mixer bottle, gym pouch, ipod, weight lifting straps and of course.. lots of work out gear! I will get the rest of the food at Whole Foods when I get there, it’s only about 4 miles from where I’m staying. My room has a little kitchenette with a fridge, microwave, and pots and pans so will be making most of my meals there although there will be dinners out as I’m going for work so cannot avoid this! I am not going to indulge other than a green salad if I can help it and of course, no drinking! It’s hard to even special order in this town, everything is fried / doused in oil or come slathered in rich sauces, and I have no extra calories to spare right now, so this will definitely be a challenge! Right across from the hotel is one of the biggest gyms in the area, Elmwood Fitness Center – and the best part is that the hotel I’m staying at give out free passes to their guests, so I can work out for free daily! I look forward to trying out a new gym, it will break up the routine to use new equipment, see different people and be in a new environment. Regardless, this will be an exercise in LIVING – I can’t isolate myself in my little house and just perform my usual routines day in and day out and expect no curve balls. Most fitness models and body builders are active and traveling the world in order to make money, meet people and continue growing, so that is what I must do as well! 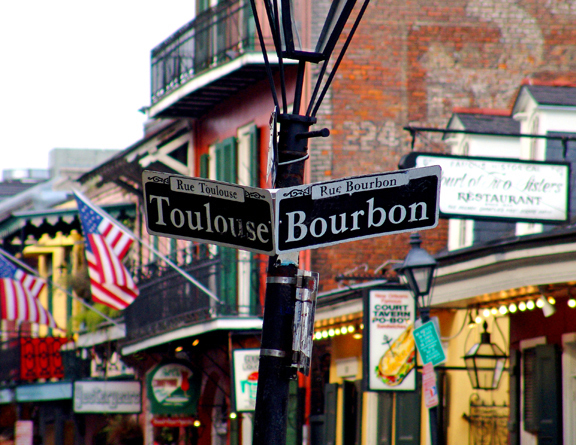 I look forward to my little trip and if I have time, will post something from the Big Easy!